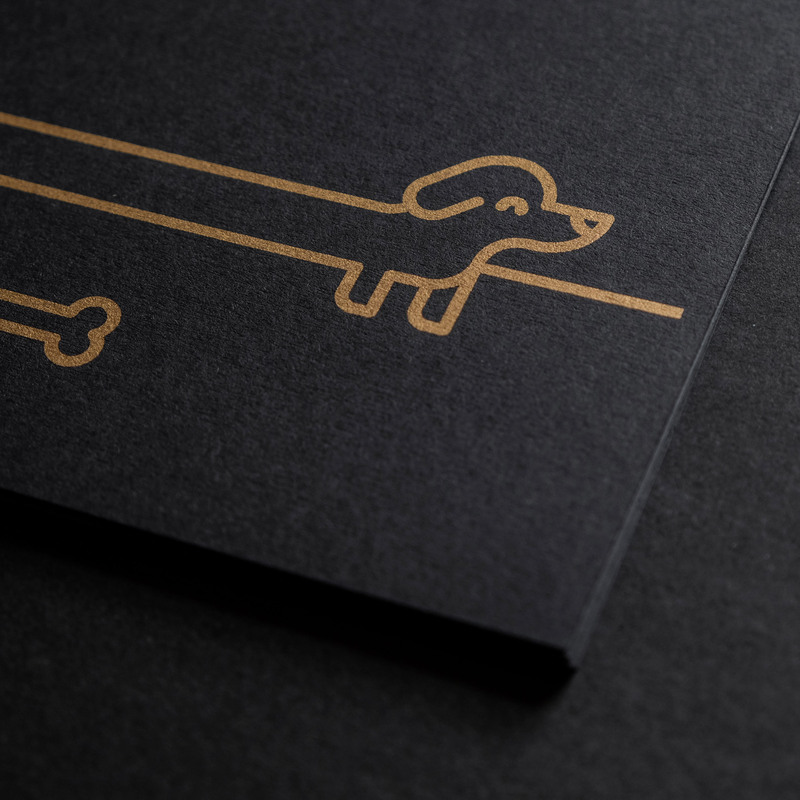 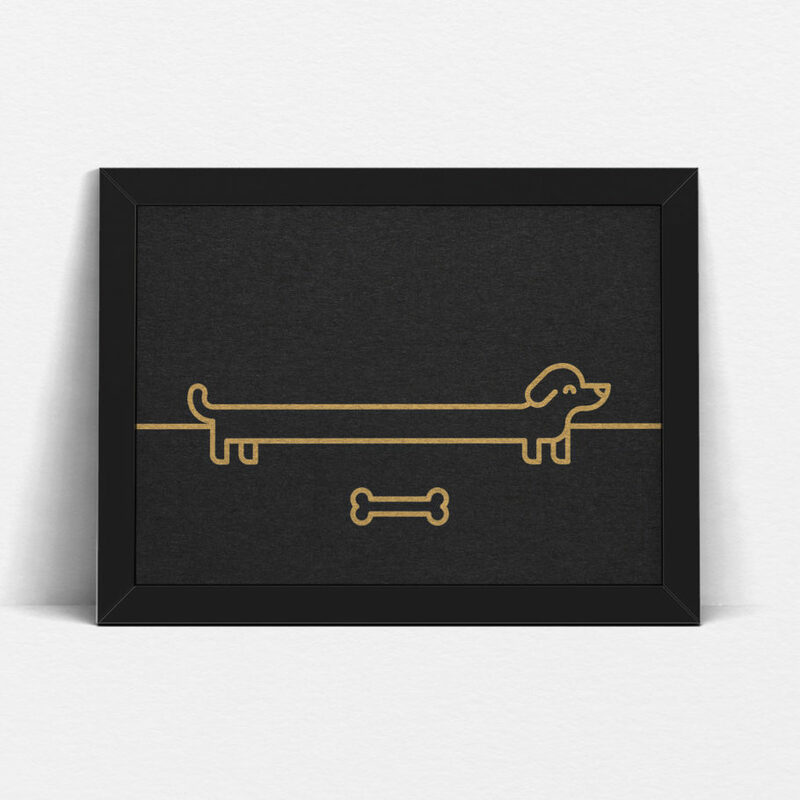 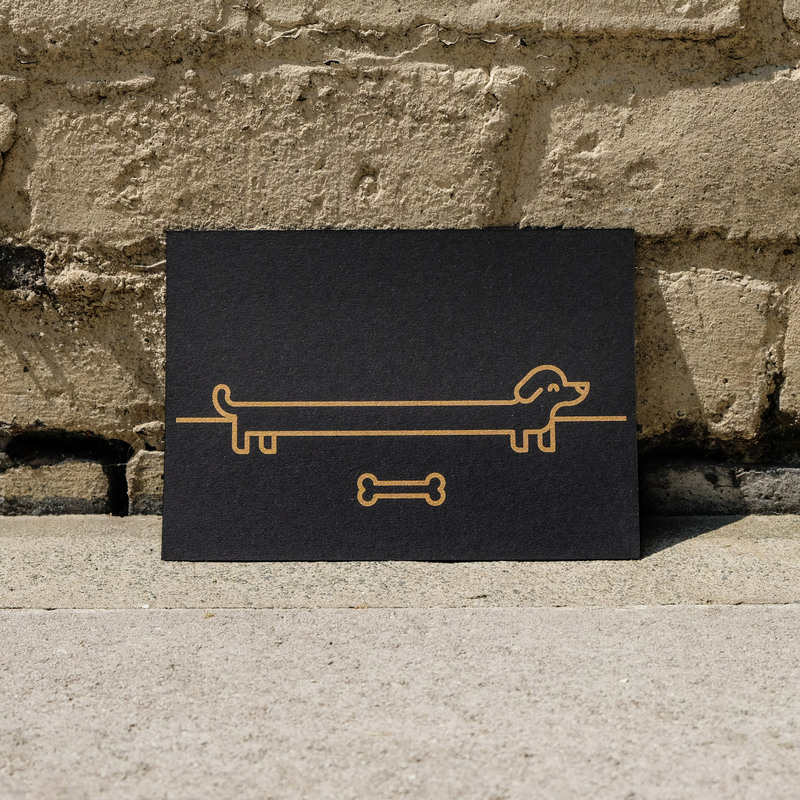 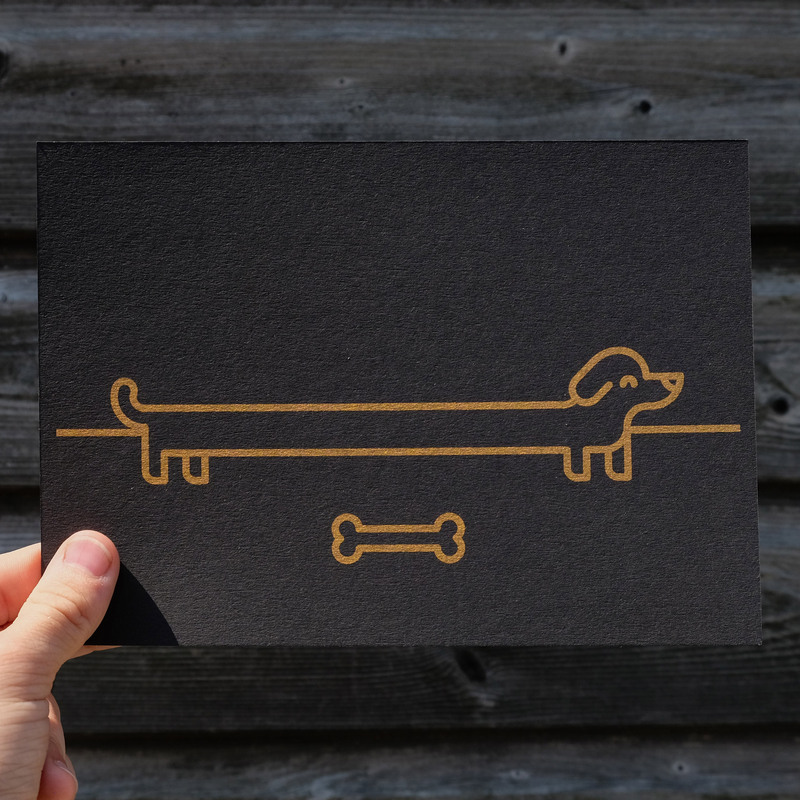 A black and gold riso print of a sausage dog, great for anyone who loves daschunds. 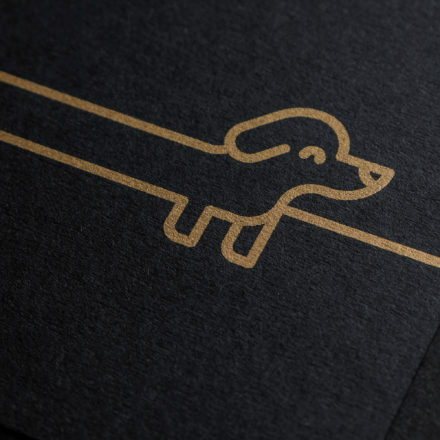 We love dachshunds. 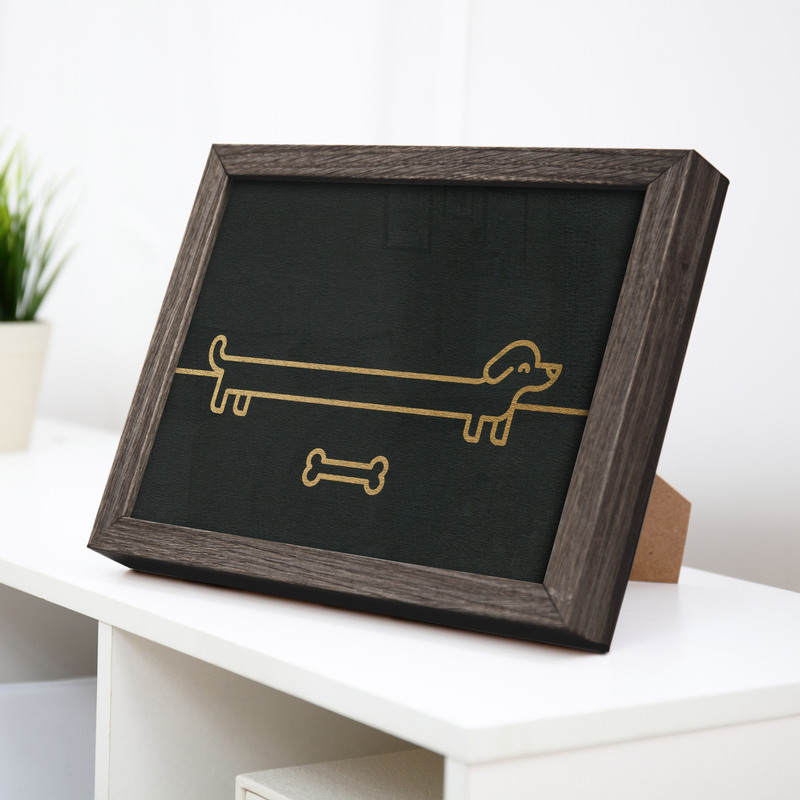 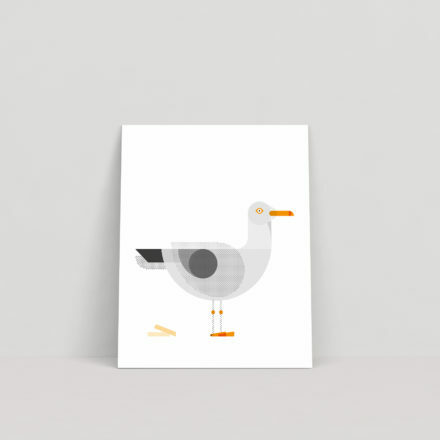 They’re really cute, but they’re also full of personality and great fun to play with. 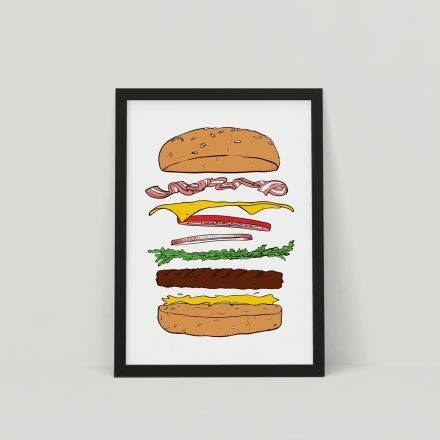 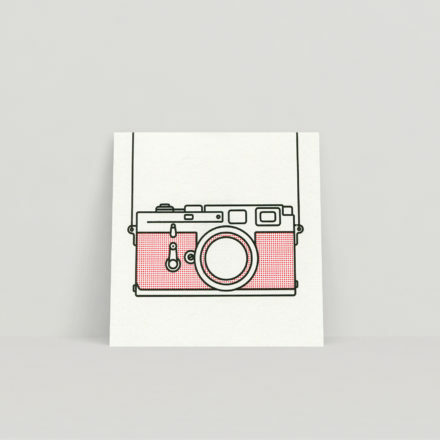 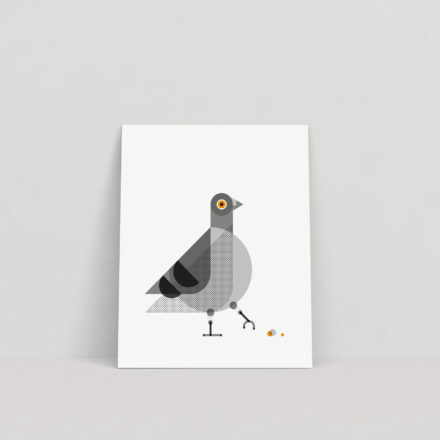 This print is a companion to our sausage dog pin and our celebration of such a great little dog breed.